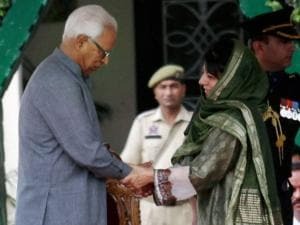 Jammu and Kashmir Governor NN Vohra administers oath to Chief Minister Mehbooba Mufti, at Raj Bhawan in Jammu. 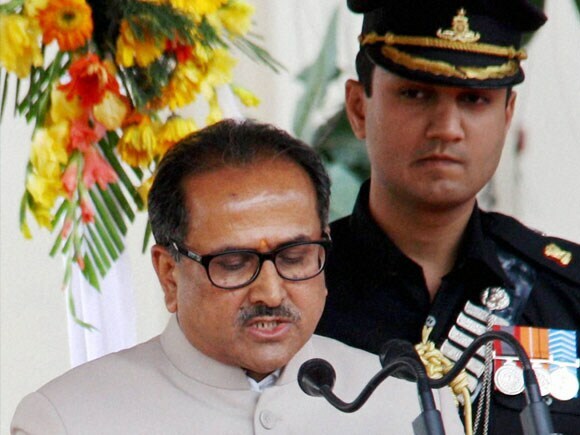 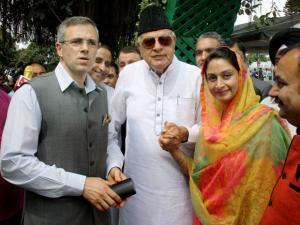 Jammu and Kashmir Deputy Chief Minister Nirmal Singh takes oath at Raj Bhawan in Jammu. 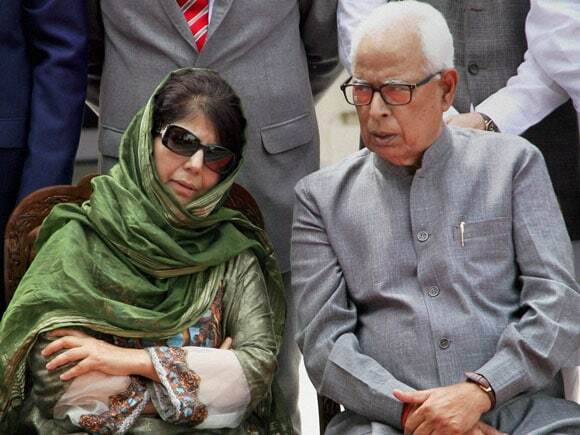 Jammu and Kashmir Governor NN Vohara talks with New Chief Minister of the state Mehbooba Mufti after taking Oath,at Raj Bhawan in Jammu. 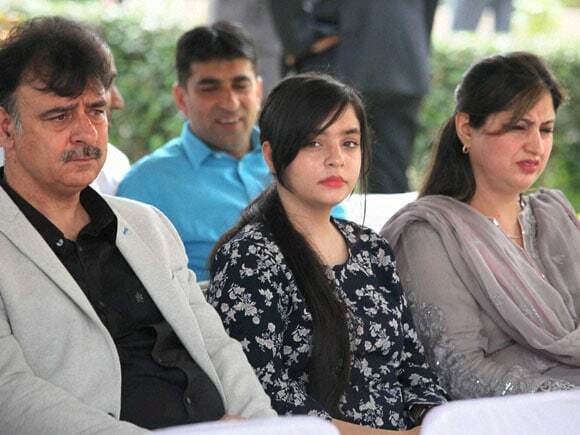 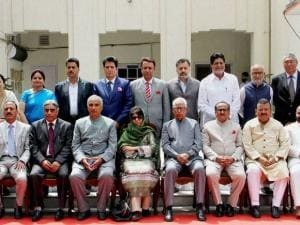 Family members of Jammu and Kashmir Chief Minister Mehbooba Mufti attend her after Oath taking ceremony,at Raj Bhawan in Jammu. 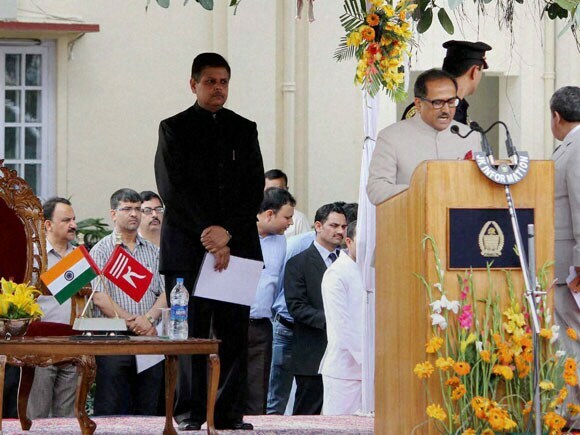 Jammu and Kashmir Governor N N Vohra administering oath of office to J&K Deputy Chief Minister Nirmal Singh at Raj Bhawan in Jammu.